That’s Aviva Davis, a student at Cedar Walk alternate school. 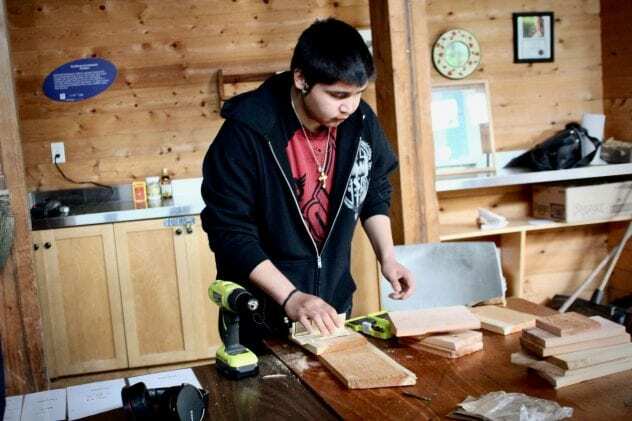 She’s also a participant in Wildlife Stewards, a new EYA pilot program engaging 10 Indigenous youth-in-care, their teacher, and two youth workers in hands-on nature stewardship at Strathcona Gardens this spring. “Because a lot of the youth have grown up in the city, we didn’t really know how interested they would be,” says Dee, a youth worker. “I had no expectations because you don’t know how much youth are going to want to engage in any kind of program,” adds her colleague Dan. But the youth embraced the program from day one. “We showed up in the dead of winter, but everyone got right in there,” Dan continues. 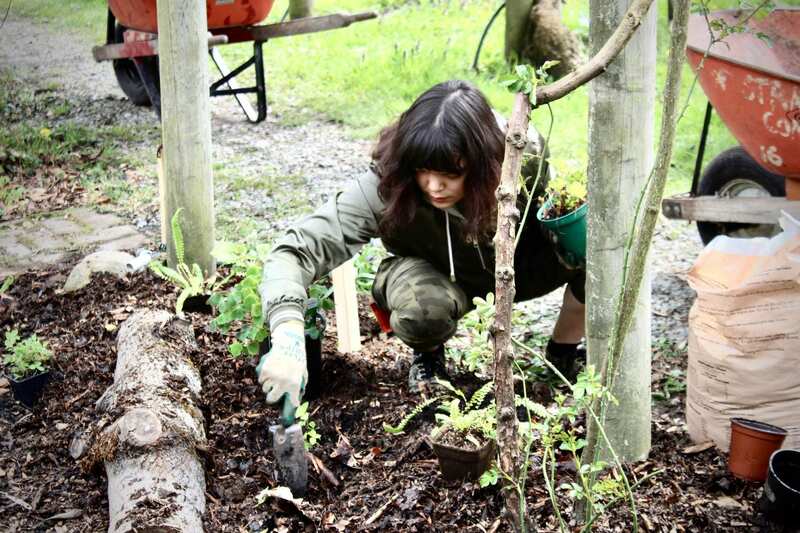 Since March, the youth have been working together to create a large native plant wildlife garden, construct wooden bird boxes, and maintain several rewilded areas, strengthening the biodiversity and vibrancy of this important community space. 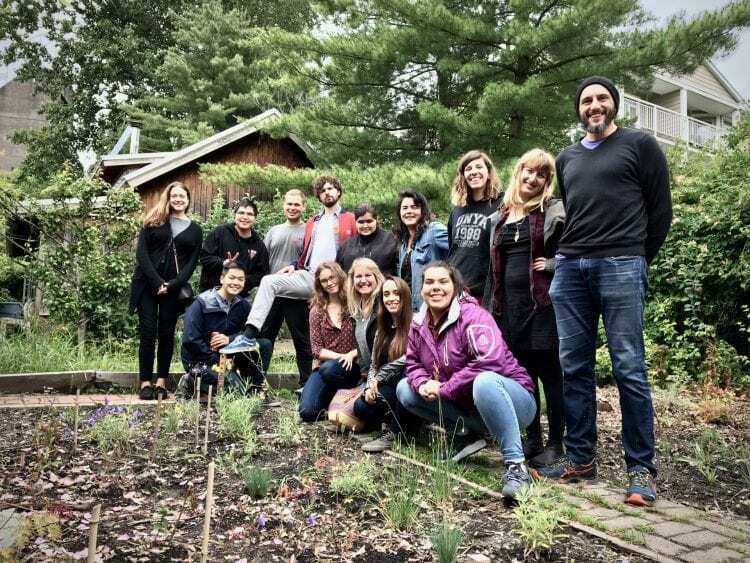 Many of the youth live just a few blocks from the garden, but the program has deepened their connection to the space. 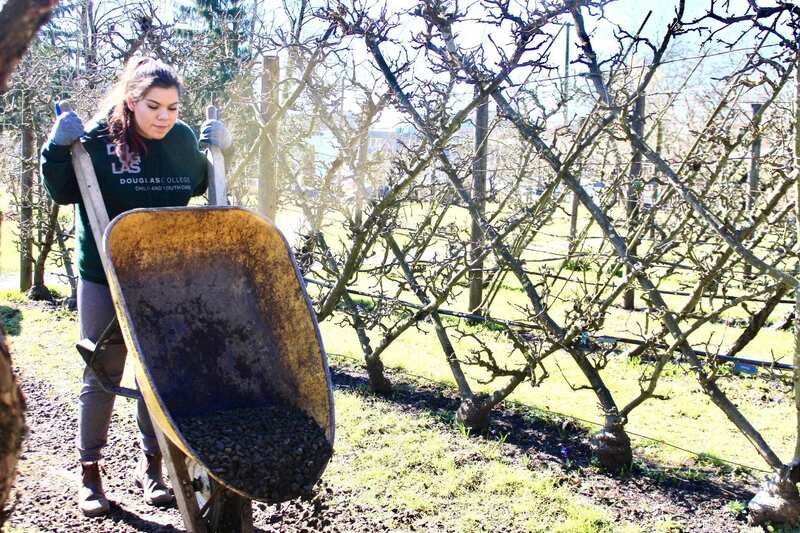 “Being able to plant things here and take care of it, and learn about the different species here gave them a meaningful sense of ownership,” reflects Omar, the Cedar Walk teacher. “I like that we had fun while contributing to our community,” says Caleb Wilson, another youth participant. The program also helps youth connect with peers and nature, supporting wellbeing. “The youth get to be in nature and breathe fresh air. I think it’s affected their moods and their abilities on the days that we’re not here,” Omar comments. “In nature, I feel more calm and relaxed because there’s not so much going on around, like cars and construction. It’s nice,” reflects Aviva. 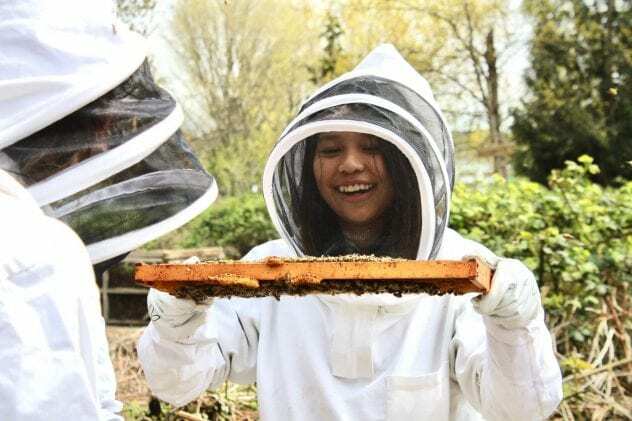 Through the support of donors, the EYA Wildlife Stewards program has given youth like Aviva and Caleb an opportunity to grow employable skills, experience urban nature in a new way, and deepen social connections. “This is an amazing, a hugely beneficial program. I haven’t seen anything like it. Working with youth, I’ve never been a part of anything that’s been this good,” concludes Dan. EYA will be working with Cedar Walk and other alternate schools to expand the Wildlife Stewards program in 2019. *Youth names have been changed to protect privacy. 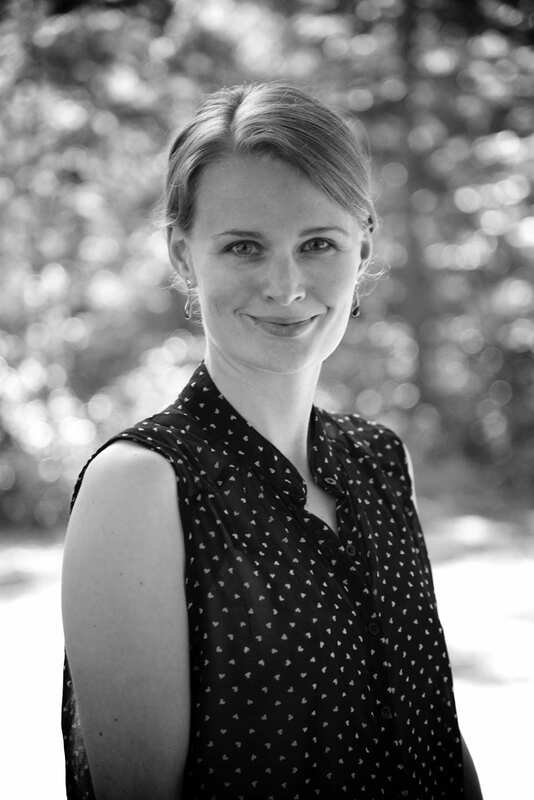 Emily Keller is the Executive Director, Environmental Youth Alliance. The Environmental Youth Alliance is a non-profit charity that cultivates transformative nature experiences for children and youth in urban environments to foster community connectedness, build ecological leadership skills, and enhance their well-being. At EYA, we raise awareness around environmental issues and actively engage young people so that they get to see, taste and touch their surrounding environments. We create small moments of magic knowing that those moments will accumulate over time – that is how change occurs. 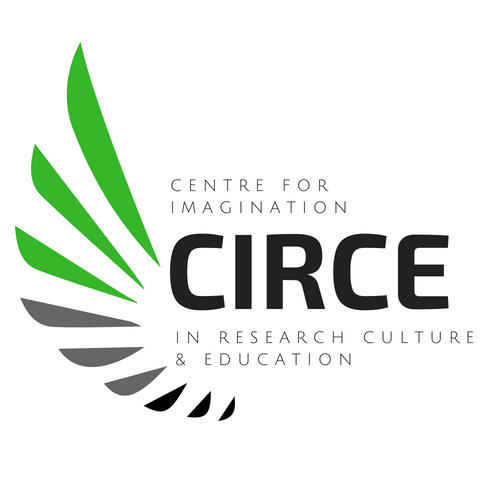 Magic comes from the imagination, a place of wonder and awe, and EYA taps into that curiosity to awaken ideas. We help educators and learners look at education through new lenses. Our diverse programs allow us to explore new areas, develop innovative approaches and build a culture that transcends boundaries. We help people connect to something greater than themselves, and we allow them to see the possibilities as they ultimately become catalysts for change.